When Leigh Neil visited the Canterbury Aero Club/International Aviation Academy in Christchurch, he discovered that what separates “great times” from “grim times” appears to be attitude and determination. Smiles on the faces of a winning management team and a fleet of new glass-cockpit trainers spell “great times ahead” for CAC/IAA. Few light aircraft pilots would contemplate a non-stop flight from Canterbury to Napier and back in a day. C.J. McCaw accompanied Terry Delore on just such a flight recently—in a glider. C.J. tells the story of their epic flight “there and back”. When Wellington-based Erik Roelofs travels around the world, he makes the most of his time. Along with co-author Paul van den Hurk, he recently spent time with the Italian Air Force and its HH-3F “Pelican” CSAR helicopter squadron. Each year, Airbus invites members of the world’s aviation press to one of its facilities for a briefing about its operations and its view of the commercial aviation market. Leigh Neil attended the latest “Airbus Innovation Days” at Hamburg. New Zealand aviators are fortunate to have Bob Feerst attending this year’s AIA conference, as he did last year, to present his life-saving presentation about flying in the wire environment. The best decision a pilot ever makes might be the one to attend Bob’s course. 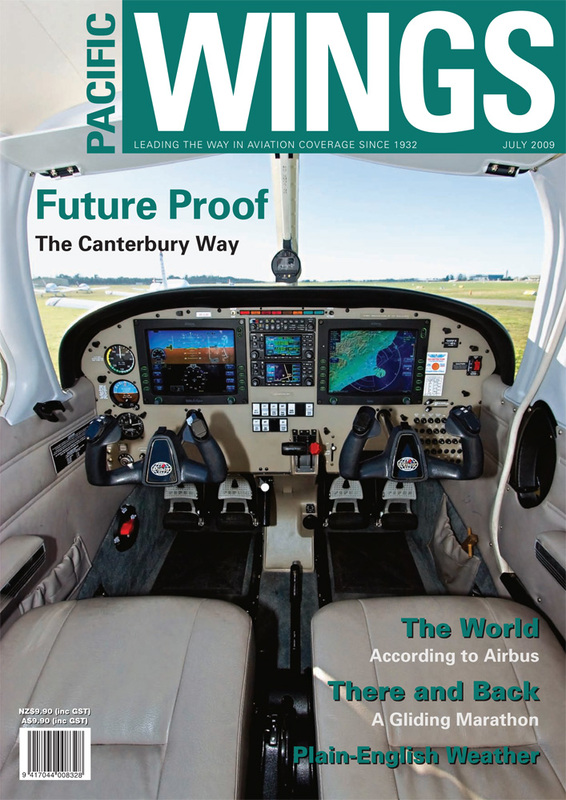 Accurate, effective, easy to read, easily understandable weather for general aviation pilots. Yeah, right!—No, REALLY! Just ask Ian Boag, who explained to Rob Neil that there is no longer a need to “decode” unnecessarily complicated Met gobbledygook.